A hot potato: The After Hours update for Grand Theft Auto Online has not even been out for two weeks yet and data miners have already found hidden content that will likely make its way into the game in the coming months. Of particular concern are two vehicles that may wreak havoc on the free-roaming aspect of the game. Two uncovered features that appear to be in the upcoming drip feed for After Hours are vehicles that players are saying will ruin free roam. One is a combat jet called the “B-11 Strikeforce.” The other is a jet bike called the “Oppressor MK. II.” Of the two new weaponized vehicles, the Oppressor seems to be causing the most controversy. This is because it appears to be a successor to another bike introduced a while back with the same name (sans the "Mk. II" part). Trolls ultimately used that vehicle to grief players in the free-roaming lobby. 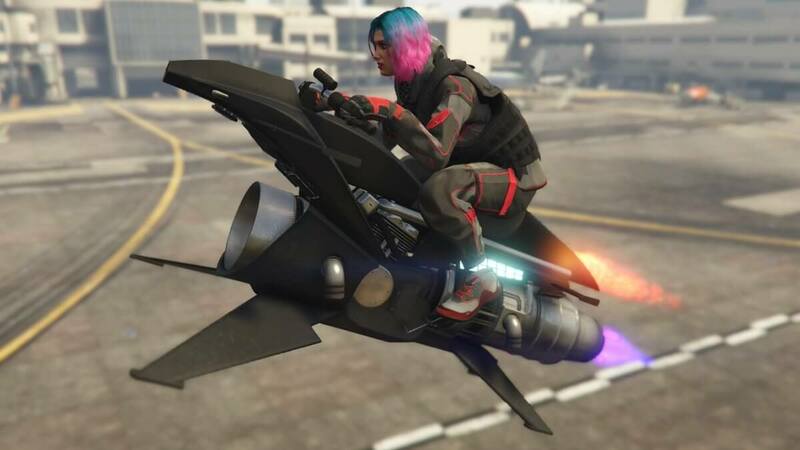 According to Kotaku, at least one player has hacked the Oppressor Mk. II into the single-player mode to try it out and says that it is more powerful than the original. In addition to stronger missiles and guns, the Mk. II sports “counter-defense systems” capable of jamming incoming missiles. Players worry that once trolls get ahold of the weaponized vehicles, free-roam will become unplayable. As such they have taken to Twitter and Reddit begging Rockstar to either not release it or dumb it down. However, it appears to be too late. As of an hour ago, Rockstar officially announced the new content on it Twitter account.